Great meet of the London Bloggers at the Elixir Bar behind Euston. This one was all about music and social media; how the industry is changing as a result of blogging and social media, examples of artists using blogs and anything music industry related. Three very knowledgeable guest speakers each had ten minutes to share their knowledge; and these are my notes on what they said. Terry Tyldesley says Kitmonsters aims to be accessible, authentic, artist-led and independent. Kitmonsters is a very successful blog that celebrates musicians and the kit they use to get their sound. Founder, Terry Tyldesley gave us some notes on what resonates with their audience. The blog is all about musicians and how they make their music, videos, pictures, etc. It provides an in depth look at the ‘cool kit’ that ‘hot bands’ are using in a ‘monstrously simple’ format. 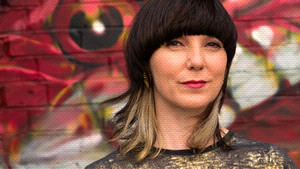 Check out some of the profiles: folk singer Sam Lee, Martin Ware of Human League and Matt Black of Cold Cut. It’s documentary style with just a few questions that prompt artists to talk about their guitars etc and how they make their music. This artist-led approach has created a kind of family feel for those who have been involved. The blog has a good look, feel and functionality; great pictures, good sounds and nicely filmed interviews. The content management system is the work of Gary Hill, Bafta award-winning designer of the Design Museum’s website. Terry name-checked a number of other sites which are either great blogs or where blogging has created a community> I found these and they were all really interesting and full of ideas: Riot Grrrl, Techno Kittens, She Makes War, Steve Lawson and Tom Robinson. Terry mentioned that producer Jagz Kooner reckons that today ‘the music scene is more punk than it’s ever been’. She noted that it is difficult to keep up with all the social media platforms. Facebook, Twitter, and Soundcloud are the three ‘must haves’. Others to consider include: Google+, Pinterest, Mixed Cloud, Last FM, Vimeo, Vine (twitter for video – 6 seconds), Blip FM, Flickr. Be strategic and make sure you have all the things you need to promote the band in place such as ‘biogs’, pictures, your own mailing list, fliers, etc. And most important, make sure you have a ‘googable’ band name so people can find you easily. James Howard heads up music for Google+ in the UK. James’ advice was to focus on what works well and to consider a presence on Google+. He was interested in the use of the platform to enable more sharing via YouTube and Maps. I didn’t really get the Google+ pitch and was interested when he called Google an ‘algorithm company’. Google is many things to many people and there is an open invitation from James to get in touch with creative ideas for making music with Google. 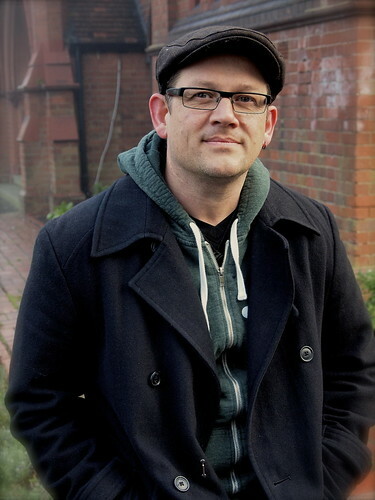 Andrew Dubber is Professor of Music Industry Innovation at Birmingham City University, author of ‘Music in the Digital Age’ and ‘Understanding the Music Industries’, and advisor to Bandcamp. Now here was a man who had a lot of interesting things to say. Andrew ‘loved Google’ but hated this idea of ‘content’ or what he called ‘meaningless communications’. And when it came to Google Analytics it just didn’t do it for him. In Andrew’s world, communication is all about the value of the conversation and not about numbers. There was a reminder to engage with the topic of the moment when he mentioned a post he had just written about the death of Margaret Thatcher. It’s so obvious but not so easily done … here is the post ‘Nothing really died today’ with a lovely and appropriate comment on Thatcher’s legacy delivered by bandmaster Peter Postlethwaite in a clip from the film Brassed Off. Andrew comes from a place where social media and music is much more than marketing; friendship was mentioned and a band called Hope & Social which exists with aim of making people happy. I checked them out. The band’s website is definitely a place to visit, enjoy, and be inspired by. It shows how to make sense of making music today and how music can really make a difference! Check out their Crypt Covers. Andrew made a nice distinction between making music back in the day and today’s situation. In the halcyon days of vinyl you were either a ‘lottery winner or a nobody’. Then it took a £250,000 to make and distribute a record whereas today you can do it for about £250. He argued that when it comes to music, ‘participation is more important than popularity’. Many is the time I have listened to an open mic singer where the music was not so good but the passion and authenticity more than made up for this. I think he has a point! And he had some advice for bands in search of their audience. If you are finding it difficult to attract followers, question whether you are as good as you think you are. Make sure you have an extra band member who doesn’t sing or play but manages Internet presence and goes out and promotes the music. At which point someone pointed out that we were right back in the world of ‘marketing’. Final point was that social media is a by-product of what you do as a musician or anything else you do. It is not an end in itself. To conclude there was also a short set by singer / songwriter Toufique Ali. Postscript: I was talking to Bernie Mitchell, who along with Andrew Bargery, organizes London Bloggers (let’s have a round of applause for this) and he pointed me to an interesting TED talk by Amanda Palmer called ‘The Art of Asking’. This entry was posted in Business and tagged Andrew Dubber, Google+, James Howard, Kitmonsters, London Bloggers, Music and Social Media, Terry Tyldesley by Jonathan. Bookmark the permalink. 1. music is now more accesible than it has ever been to make and consume which gives you a great deal more choice, but also a lot more competition for an audience. 2. social media (read blog, facebook, twitter etc) is just an enabler, a route to getting your music infront of your intended audience – and yes that is just marketing.